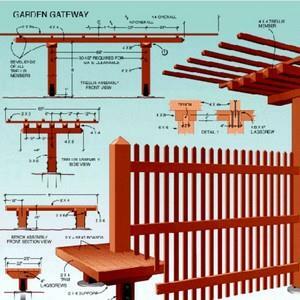 Build a trellis to support climbing plans using one of these free trellis plans. 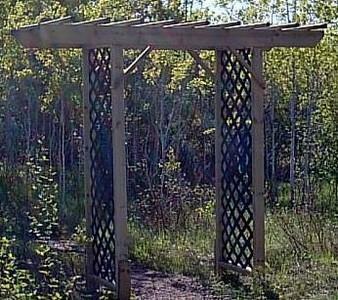 Here is a great project for an elegant wooden trellis and it has a bench built right in! 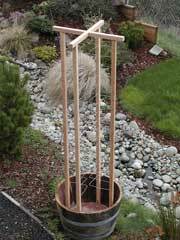 If you love sweet peas and clematis then this trellis will show them off in grand style. 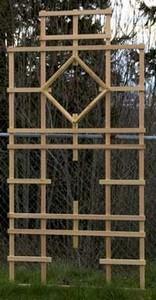 The design of this trellis is very tall, but you can adjust the dimensions if you want a shorter trellis. Spring is here and it's time to start thinking about flowers. One of the best ways to display flowers is with a nice trellis and this one is just the ticket. The design is really simple and fun to make.